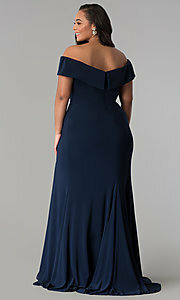 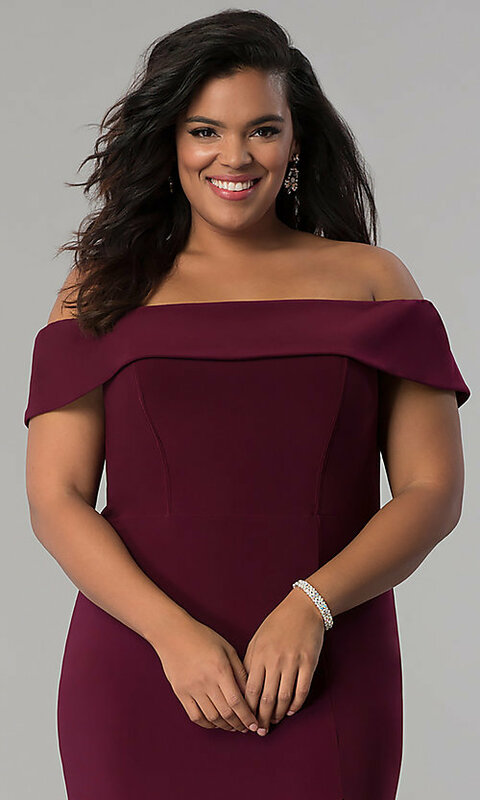 Gorgeous by design, this long plus-size prom dress by Faviana is a fashionable choice for proms, military balls, and other formals. The statement-making evening dress graces the body with an off-the-shoulder collar and accentuates the figure with smooth jersey fabric. 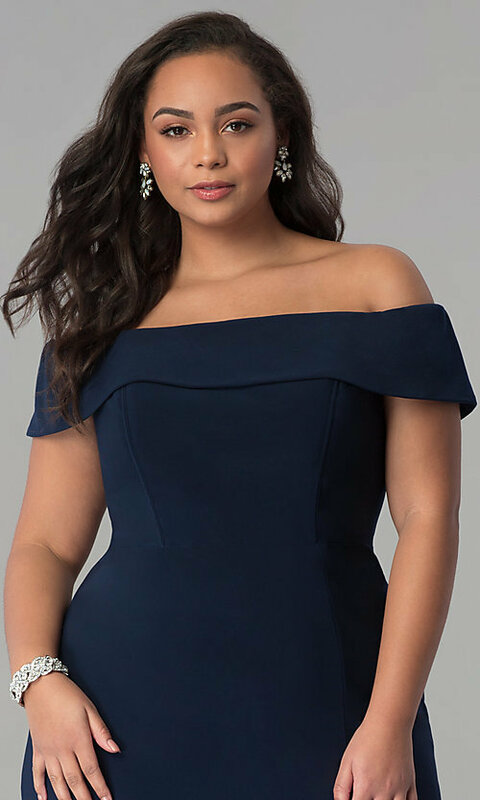 For a romantic look, the straight neckline cuffs over the front of the fitted bodice and forms folded bands around the arms. 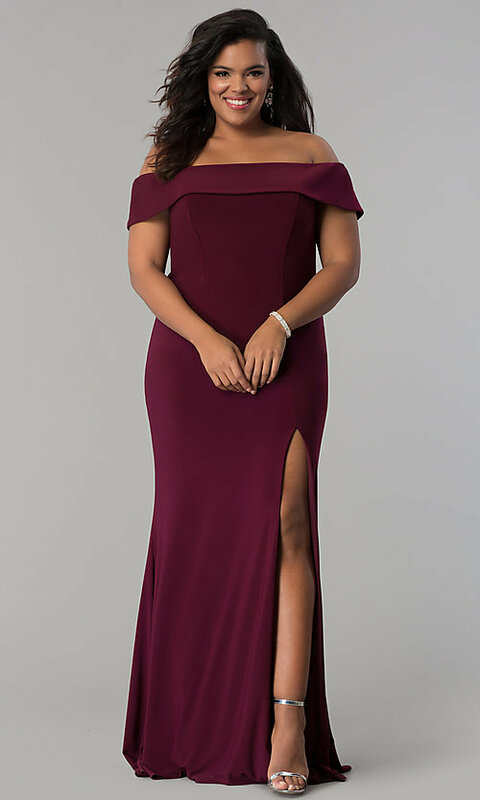 A princess cut allows a seamless transition from the stylish neckline to the floor-sweeping skirt and defines the silhouette. 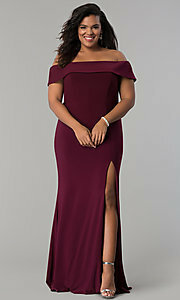 As if this designer plus-size prom dress couldn't get any more appealing, the long skirt opens at the side with a bold slit that comes into focus with every step. 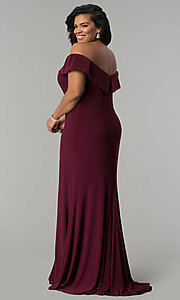 The model wearing bordeaux is 5'9" and wearing 4.5" heels.